AKITA - Taeko Watanabe awoke one cold March night and found a trail of blood in the hallway, a bloody cleaver on her son Yuki’s bed and no trace of him in the house. Then police discovered a suicide note in his bedroom. Yuki, who was 29 when he died in 2008, was one of many who took their own life that year in Akita Prefecture. For nearly two decades, Akita had the highest suicide rate in all of Japan, which itself has the highest rate among the Group of Seven nations. 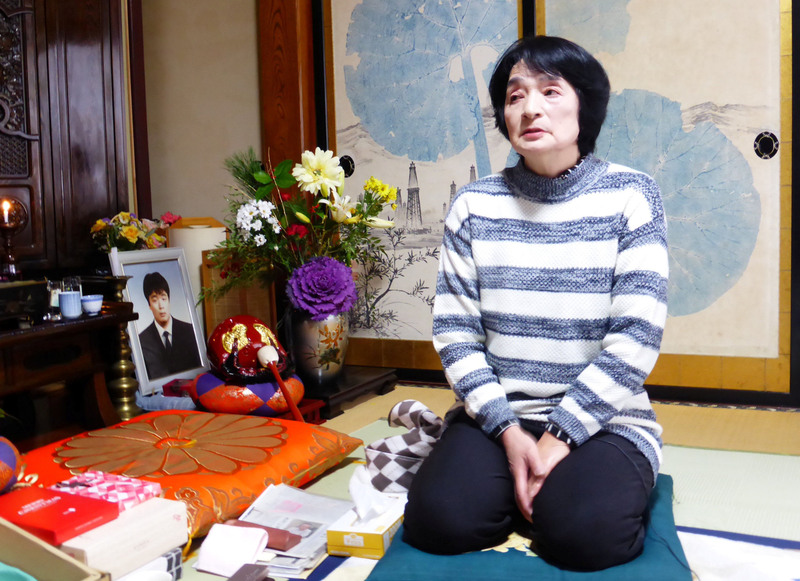 Watanabe, who contemplated suicide herself after Yuki’s death, now leads a suicide survivors’ group, part of national efforts that have brought Japan’s suicides down by nearly 40 percent in 15 years, exceeding the government target. Now, suicides in Akita are at their lowest in 40 years. Corporations, prompted by lawsuits from families of those who took their lives because of overwork, have made it easier to take leave; more offer psychological support; and a law caps overtime. The government mandates annual stress tests in companies with over 50 employees. In 1999, Akita’s governor became the first in Japan to budget for suicide prevention. Amid positive media coverage, citizen and volunteer suicide prevention groups sprung up. The prefecture, with a population of just 981,000, now has one of the largest citizen help networks in Japan. “Because it was a personal problem, even governments said tax money shouldn’t be used. That paradigm shift occurred in Akita; the rest of Japan followed,” said Yutaka Motohashi, director of the Japan Support Center for Suicide Countermeasures, who worked in Akita in the 1990s identifying at-risk groups. The prefecture began depression screening and public health workers checked in on at-risk people. There was also enthusiastic participation by volunteers such as Hisao Sato, who fought depression for years after his business failed in 2000. To help, in 2002 he created Kumonoito, or Spiderweb, a network of lawyers and financial experts offering practical help. About 60 percent of his funding comes from the Akita Prefectural Government; the rest is from donations. The Diet is drawing up a law to create a national organization similar to Sato’s. “About 70 to 80 percent of those we deal with say they want to die, but while they talk they stop thinking about suicide and eventually say, ‘I’m looking forward to seeing you,'” she said. “I thought I’d be stuck in bed the rest of my life. Is this it for me? I thought I’d lose my mind,” said Sumiko, who declined to give her surname. Akita’s suicide rate has fallen from a high of 44.6 per 100,000 in 2003 to 20.7 in 2018, according to preliminary data — a drastic improvement, but still the sixth-highest nationally. 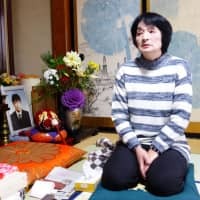 Japan’s suicides have fallen from the 2003 peak to 20,840, while the rate dropped from 27 per 100,000 to 16.5, according to figures from the National Police Agency. The government aims to hit 13 per 100,000 by 2027. By contrast, the suicide rate in the U.S., which has a population twice that of Japan, was 14 per 100,000 in 2017. But 543 Japanese age 19 and younger killed themselves in 2018, a 30-year high. Youth suicides were given unprecedented importance in a 2017 prevention plan, with counselors now at many schools, often starting in primary grades, said Ryusuke Hagiwara, who works on suicide prevention at the health ministry. Education ministry pamphlets aimed at primary school children allow them, through cheery manga, to assess how they’re feeling, teaching stress-reduction measures such as deep breathing and encouraging them to seek help. Every phone at a suicide hotline center started ringing at 8 p.m. on a Friday night, seconds after it opened, and the narrow room off a Tokyo back street was filled with the voices of those trying to help. Befrienders is one of scores of organizations operating hotlines around Japan. They advertise with messages like “Are you down? There are people to help lift you up” in Tokyo’s vast network of subways, the site of many suicide attempts. “There are still very closed-off aspects to society here; it’s really hard to talk about personal things — especially for men, who since the old days have scorned ‘letting things out,’ ” said Yoshie Otsuhata, sub-director of the help line. Largely rural Akita Prefecture, which for decades had the highest suicide rate in Japan, also emphasizes outreach. Alongside hotlines there is a network of trained “listeners” who connect with the area’s lonely and isolated elderly.